This modern design of JLF Yelena Large Square Box With Hellebores was constructed by the lovely American pointillism artist, Yelena York. 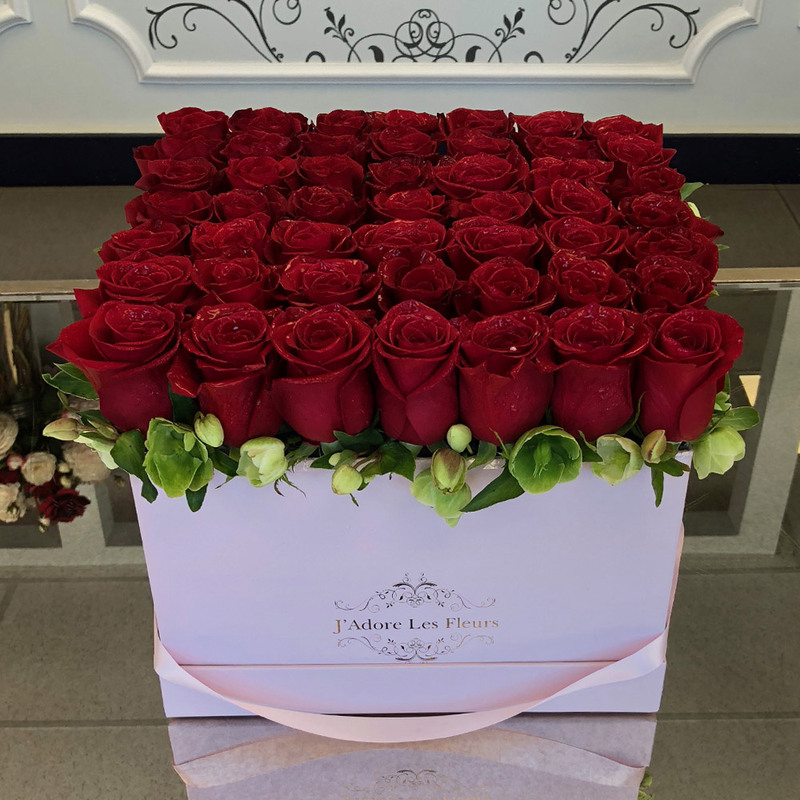 About 45-50 red roses depending on the size of the rose head are beautifully and carefully aligned next to each other creating a bed of roses on a single plane. 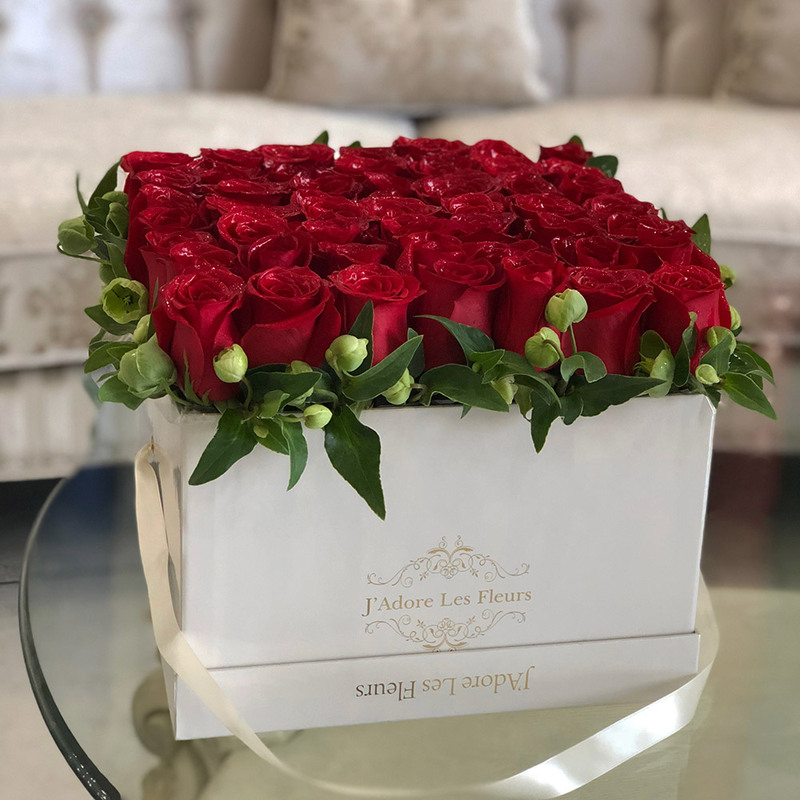 The arrangement in the photo is in the large square box.